A comic is computerized designs included with text, speech bubble or quotations to express an opinion. As a result, a graphic novel is a book made up of comic’s content. The content can express different views, love, hate, war and politics. This style of writing and illustration enjoys the freedom of speech but may at times be offensive to some people. On the other hand, a lot of graphic novels target the young children because simple novels can be undemonstrative, boring and can get bland and the child is easily distracted. Therefore to attract attention and to keep you fully entertained the graphic novels use the technology of graphic design to keep the reader hooked on at all times. This genre emerged during the 1970s and it wasn’t until the 80s that public became familiar to it and started gaining fame like some of the legendary graphic novels for example, The Dark Knight by Frank Miller, a must read for all ages. Nonetheless, it wasn’t actually until 2001 that bookstores actually started stocking graphic novel as a separate category. 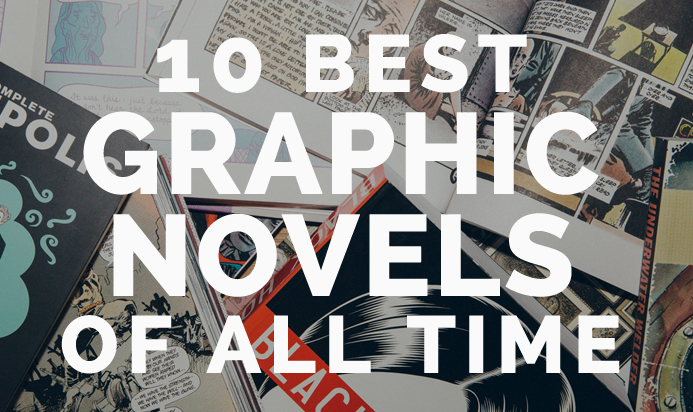 Here are some of the best graphic novels of all time.